Cutter makes her feel in a whole new way. I loved that. A mother by day and writer by night. When Glenna isn’t writing or spending time with family you can usually find her curled up reading a great book. 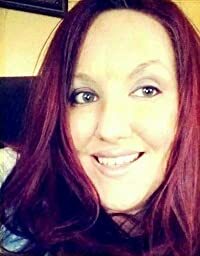 She has a passion for romance and paranormal reads. Glenna was born and raised in the beautiful hills of Eastern Ky where she still resides today. Her hobbies include reading, writing, scrap-booking, and cooking. ← Dear IRS – Does applying for an ITIN really have to be this hard?